Cellular materials are widely used in various applications because of their low density and high strength. The mechanical behavior of cellular materials under various loading conditions has been investigated. Nevertheless, many of these previous studies assume that the Young’s modulus of constituting struts is the same in tension and compression. The present work first derives analytical expressions for the effective Young’s moduli of hexagonal and diamond lattices composed of struts with different tension and compression moduli under the assumption of small strain deformation. It also uses the finite element method to further investigate the mechanical responses of these lattices. The macroscopic Young’s moduli under both compressive and tensile loads are reported as a function of the ratio of compression and tension moduli of constituting struts. The numerical finite element models are implemented by a user defined material subroutine in ABAQUS. Results reveal that the effective Young’s moduli of periodic hexagonal and diamond lattices significantly decrease with decreasing ratio of compression and tension moduli of the struts. Furthermore, the mechanical behavior of hexagonal lattices composed of struts with different tension-compression moduli is dependent on the loading direction and whether they are compressed or stretched. 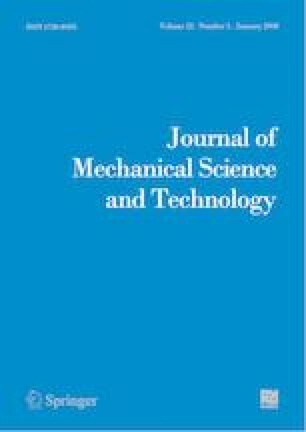 The unique mechanical properties of bi-modulus cellular materials could find important applications in the automotive and construction industries. Hamed Hatami-Marbini is an Associate Professor in the Department of Mechanical and Industrial Engineering, University of Illinois at Chicago, IL, USA. He received his Ph.D. in Mechanical Engineering from Rensselaer Polytechnic Institute and his research interests include computational and experimental mechanics.